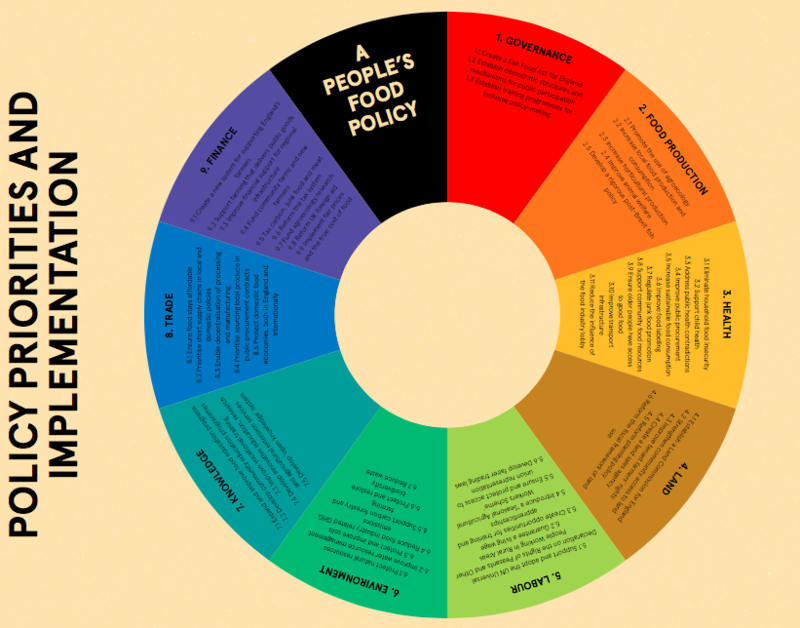 A coalition of grassroots food and farming organisations has launched ‘A People’s Food Policy’, a comprehensive proposal for a more just and sustainable food system in England. As Brexit negotiations continue, the coalition is calling for the development of a progressive food policy in advance of leaving the European Union. This groundbreaking manifesto outlining a people’s vision of food and farming in England is supported by over 80 food and farming organisations. The report draws on 18 months of extensive, nation-wide consultations with grassroots organisations, NGOs, trade unions, community projects, small businesses and individuals. The result is a set of policy proposals and a vision for a change that is rooted in the lived experiences and needs of people most affected by the failures in the current food system. “From the increasing corporate control of agriculture in the UK, to the price of basic food stuffs outstripping the rises in real wages, through to small farmers being aggressively squeezed out of the market, with over 33,000 small to medium farms closing down in the past decade – the UK is witnessing a series of crises in how we produce, distribute and sell food. The government’s approach to addressing these problems is at best piece-meal and at worst non-existent.